Career Path Services > Where Is My W2? Looking for your W2 from Career Path Services? We will have them all in the mail by January 31st, 2019, meaning you should receive them no later than the 1st or 2nd week of February at the very latest. Want to find out more about what credits and deductions you might qualify for to increase your return? 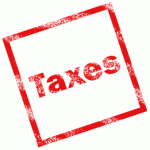 Check out the Credits and Deductions page at irs.gov.